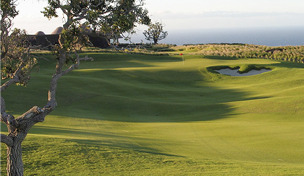 ddprivate clubs in the U.S.
• 2007 Golf Magazine ranked Nanea #44 in U.S.
• Construction began September 11, 2001. • Developers wanted a difficult course to walk and play and weren’t looking to dd dd appease the once a year resort guests. • Extremely private course made up of mostly close associates and friends of dd dd Schwab and Roberts with close ties to San Francisco Golf Club. • Considered best course in Hawaii by those fortunate to play it. • Lots of visible blowout sand bunkers.